Chart No. 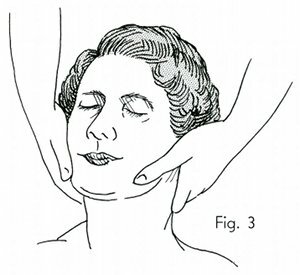 25 - Treatment for Gas Pressure by Polarity Stimulation on the Head, Soft Palate, and Neck. 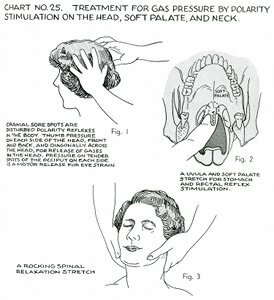 Cranial sore spots are disturbed polarity reflexes in the body. 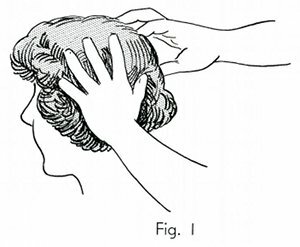 Thumb pressure on each side of the head, front and back, and diagonally across the head, for release of gases in the head. 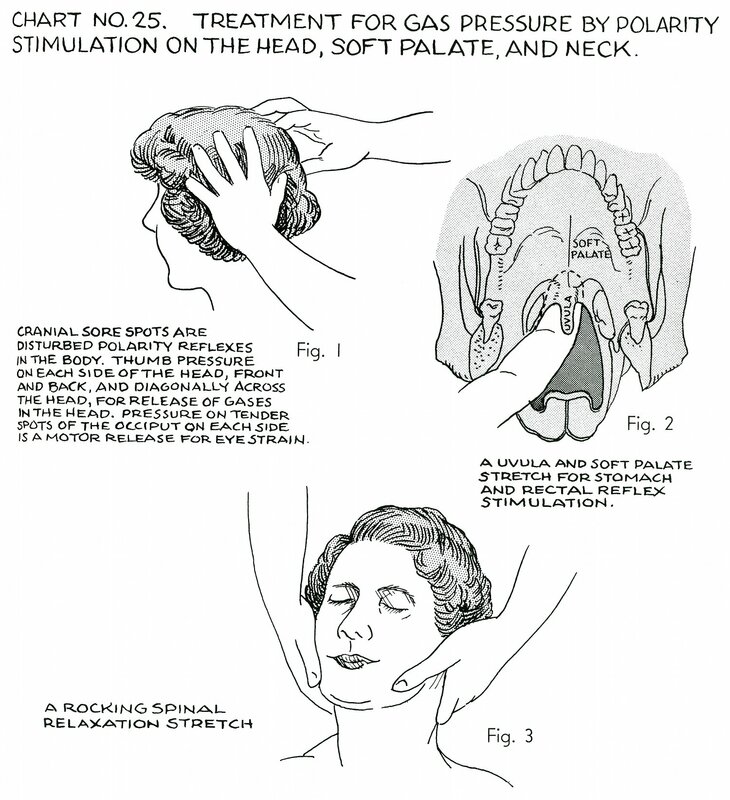 Pressure on tender spots of the occiput on each side is a motor release for eye strain [eyestrain]. 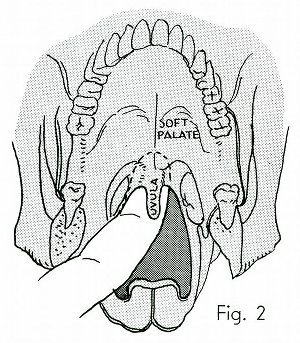 A uvula and soft palate stretch for stomach and rectal reflex stimulation. Book 3, "Explanation of Chart No. 25"